Looking for the list of all the ODI World Cup winners? We got it all covered for you. 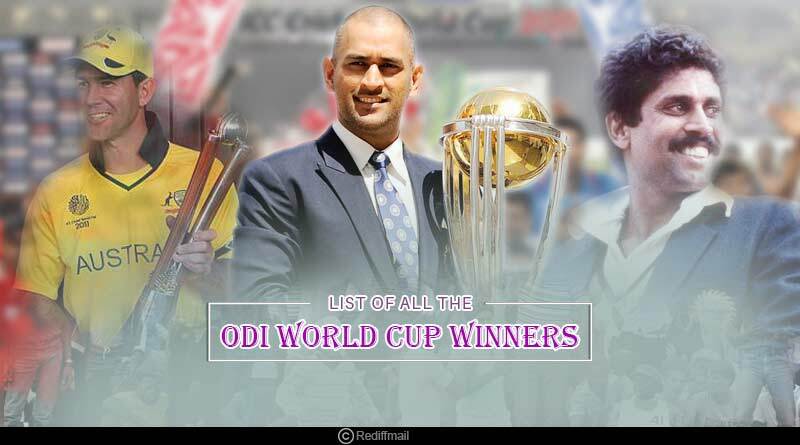 As the ODI Cricket World Cup 2019 beckons ever closer, we take a look at all the winners of the world cup till date. Of the 100 finals contested till date in the showpiece tournament, which is one of the biggest accomplishments in a cricketer’s career has been won by Australia the most times at 5, while India has had the brilliant opportunity of getting their hands on the exquisite trophy twice. Other details about the ODI World Cup winners till 2018. The cricket world cup made its entry into the game in 1975, with the first three events being contested in England before finally moving onto other lands with India being decided as the venue for the 1987 contest, also the first world cup that saw players adorn coloured outfits as opposed to the white ones opted for till then. The first two world cups went to West Indies before India went onto break their supremacy, defeating them in the 1983 final courtesy of a maverick performance by the side with Kapil Dev playing the role of the leader to perfection with a meticulous and decisive performance with both the bat and ball. Having miraculously managed to recover from a position of no return to put on 183 on the board, India made the most of that momentum garnered, continuing on their marauding run to dismiss West Windies for 140 and win by 43 runs. The country went onto repeating the expansive feat 28 years later when they lifted the much-coveted trophy in their own home, becoming one of the rare sides to have managed to accomplish this exuberant feat in their own country in a successful run chase of 275 crafted by Gautam Gambhir. 2007 completed what has been a memorable journey for the tournament, one that has captured hearts ever since it came into being with West Indies being selected as the host nation, seeing the world cup being played on all the 6 continents in the world. Of all the major sides to have taken part in the enthralling and premier cricketing tournament in the world, England and New Zealand are yet to taste success, failing to reaffirm in their status as world champions with zero titles to their name. Going into this year’s world cup, India and England are being regarded as heavy favourites to go all the way and put in a stiff and stern challenge for the title. Competing with one of the most complete and well-functioning units in the world, players who perform to perfection in unison to deliver a deadly performance underway downing teams, the two nations paired with South Africa, Australia and New Zealand promise to make the May 30 starter an event which you should pencil in your calendars from today. 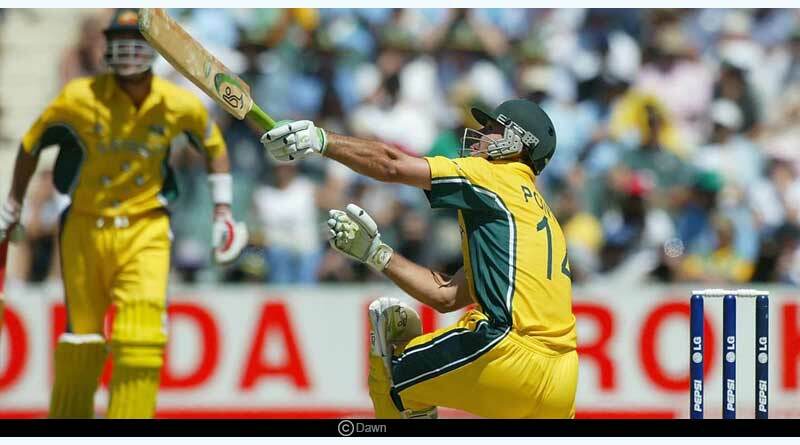 For more articles like the list of all the ODI World Cup winners,do Subscribe to our newsletter and follow us on Facebook, Twitter and Google+.